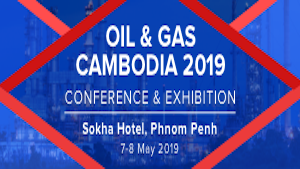 With the strong support and endorsement from the Ministry of Mines and Energy and major stakeholders in Cambodia, the first major international Oil and Gas Cambodia Conference and Exhibition will take place from 7-8 May at the Sokha Hotel, Phnom Penh. Be part of the up coming Oil and Gas Economy in Developing Asia. Contact our dedicated sales representatives through the form on the right to see how our events can help to position your brand in this exciting new oil and gas market.